Young Rosie dreams of carving a special turnip lantern for the Festival of Light. Little does she know how absolutely ENORMOUS her turnip will grow! Take a magical tour through the four seasons with Rosie as she plants and harvests her dream vegetable… she will need plenty of help from the audience, her animal friends and one small but very important root gnome. One Moment In Time Theatre presents a gentle and playful retelling of this classic folktale, with a magical twist. 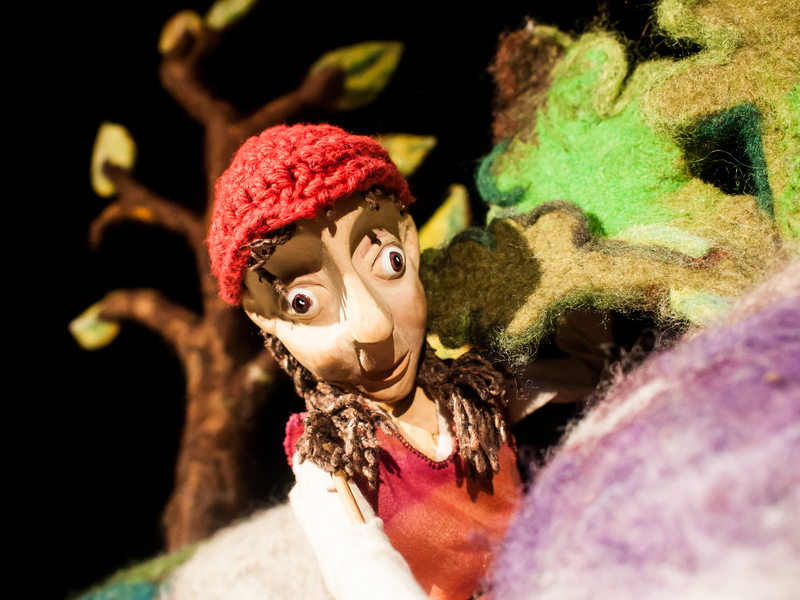 Featuring beautifully hand-crafted puppets and sets, storytelling, live music, songs and lots of joining in! This October Sundae Club we’ll be lighting up the craft workshop with an array of colourful kaleidoscopes! Join us downstairs for a fun-filled workshop where we’ll be learning about light, reflections and symmetry by creating our very own kaleidoscopes.